Professor Ian Smith given prestigious recognition and cited as one of the 50 finest engineers in the UK. Professor Ian Smith, Professor of Applied Thermodynamics and Director of the Centre for Positive Displacement Compressor Technology, has been elected as a Fellow of the Royal Academy of Engineering. Professor Smith and 49 outstanding UK engineers were announced as new Fellows on 9th September following the Academy’s AGM. 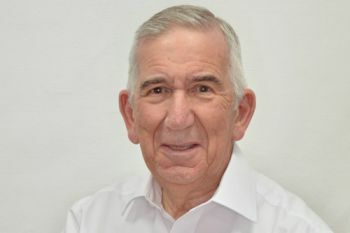 Professor Smith is renowned for his pioneering research into power recovery from low-grade heat sources, involving compressible flow effects, alternative working fluids to steam, and novel two-phase compression and expansion cycles. He is also recognised for his directorship of the Centre for Positive Displacement Compressor Technology at City, University of London. Distinguished engineers from across the country are elected to the Academy in recognition of their outstanding and continuing contributions to the profession. The 2016 list also includes two International Fellows, recognised for their significant contributions to engineering outside the UK. The first meeting of the Fellowship of Engineering took place on 11 June 1976, when 130 leading engineers of the day including jet engine visionary Sir Frank Whittle, design guru Sir Ove Arup, and father of the UK computer industry Sir Maurice Wilkes were invited to Buckingham Palace by Senior Fellow HRH The Prince Philip, Duke of Edinburgh. Leading engineers have been elected to the Fellowship – later to become the Royal Academy of Engineering – every year since, and it now consists of around 1,500 engineers from across engineering disciplines in both industry and academia.